Website design has evolved drastically since its conception in 1994. Starting with very basic HTML based sites, with no real design integrity or flexibilty, it has progressed into a fully interactive tool for companies to stay in touch with their clientele, offering real time up-to-date information. Easily accessed by anyone worldwide. BetterConnect, although not a website design company itself, works closely with a select group of talented and professional web designers. Whether it is a dynamic database driven website, a graphic and animation intense Flash™ site or a simple landing page announcing your business to the world, our team can provide the resources and hosting power you need, along with all the creativity and professional presentation from our web designer associates to deliver only the best. Our pricing structure is unique in a sense that you, the end user, pay only for what you want and need. And our menu, unlike most, is completly fat free and void of any inflated costs you have come to expect. But don't take our word for it! See our portfolio for a selection of sites hosted by us. Like what you see and need a web designer? Contact us and we'll put you together with one of our best. 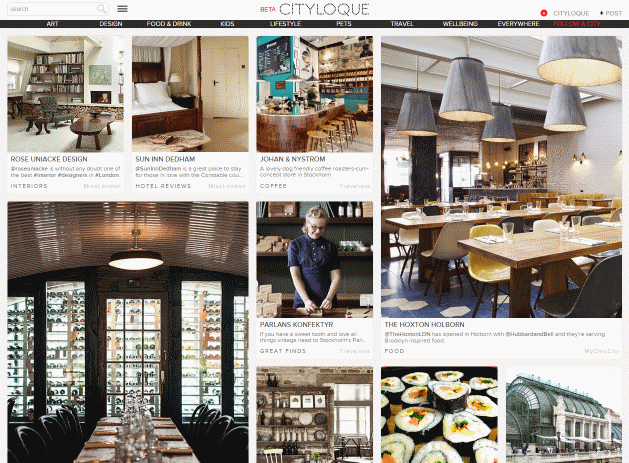 Cityloque is a platform where you post, read & share great Articles about the best from your city. Great finds, restaurant reviews, photos and cool stuff to inspire others. 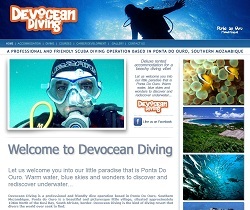 Devocean Diving is a professional and friendly dive operation based in Ponta Do Ouro, Southern Mozambique. It is the kind of diving resort that divers the world over seek to find. The Golden Arrows is a football club based in Durban that participates in the South African Premier Soccer League. AbsolutelyAfrica, based in Kwa-Zulu Natal since 2003, a producer of quality authentic Zulu beadwork jewellery incorporating elaborate beadwork of the highest quality. Durban commercial art studio specialising in large scale installation projects, working directly with architects, designers and developers in the construction industry. Lambie Spark & Associates (Pty) Ltd, has celebrated some 20 years of operating as one of Durban’s most established and successful property companies. A Womans Best kept secret! YouFemism is a silky cream made up of a combination of herbs and essential oils that work together to gently restore your serenity. An annual event allowing local interior designers, decorators, landscapers and caterers to demonstrate their talents in a real world scenario. Established in 1989, FBN Transport is an independent transport logistics company offering an exclusive personalised, and professional service.